If you’ve spent time travelling you know it can change your outlook on life drastically. The people you meet, and places you go can even change the course of your life. And these journeys can result in lifelong impact for those you meet along the way. Jessica Hendricks, founder of the The Brave Collection, knows this better than anyone. 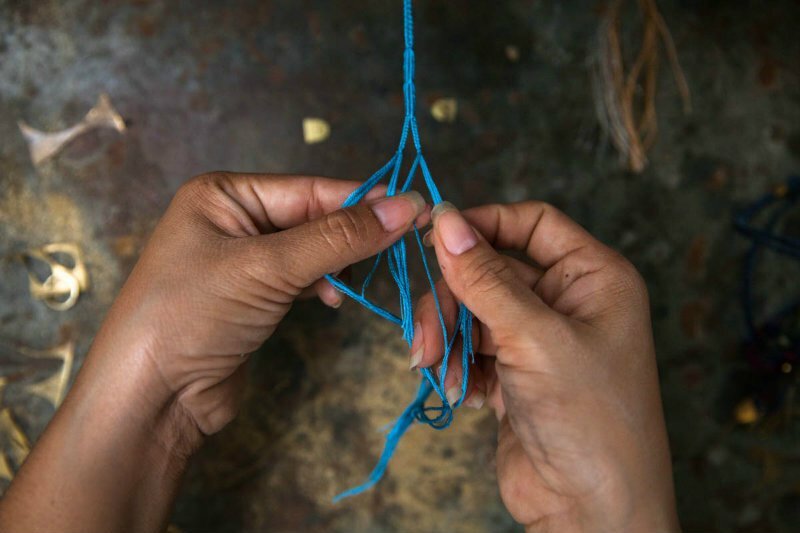 A visit to Thailand sparked the idea to start so much more than a jewelry company--rather a way for women to spread courage, empower one another, and provide a place for women in Cambodia to build better lives for themselves, escaping sweatshops and human trafficking. 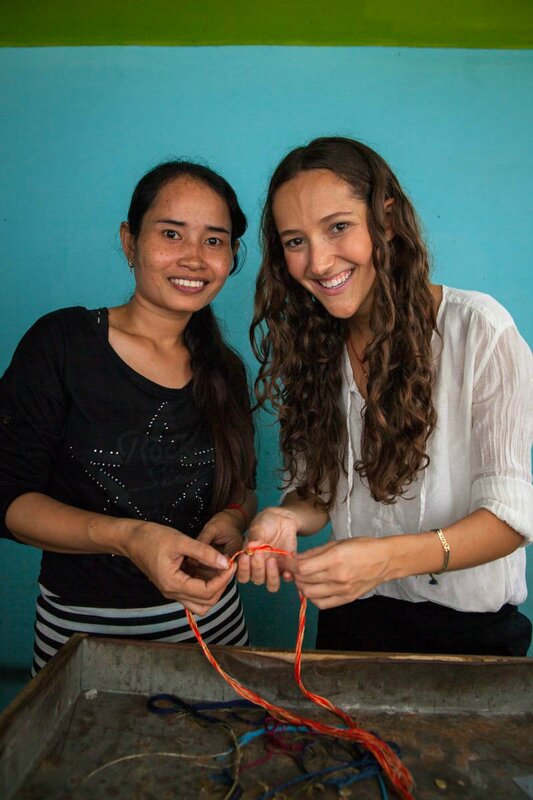 Jessica was kind enough to answer Global Citizen’s questions about the The Brave Collection and share the stories of the women in Cambodia below. What inspired The Brave Collection? I taught English in Thailand the summer after my sophomore year at NYU, and decided to extend my trip to see the famous temples of Angkor Wat in Cambodia. Once in Cambodia, I fell in love with the incredible warmth of the Buddhist people, and deep cultural history of art and spirituality. However I was struck to the core to learn that in the 1970s genocide, 1/3 of the population was killed, along with 90% of the artisan community. I also learned about the challenges for women in modern day Cambodia, and the grim reality of human trafficking. 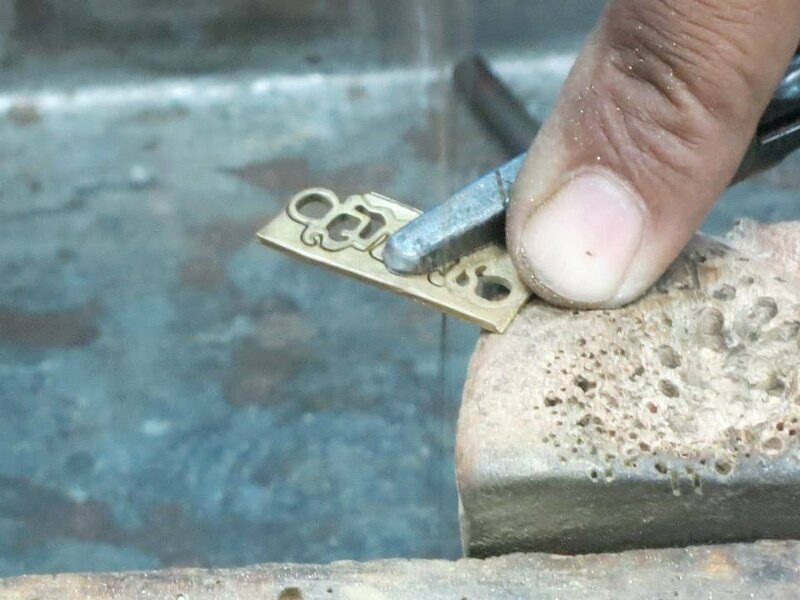 I wanted to find a way to support the artisans of Cambodia by collaborating on pieces which would celebrate local culture and provide employment in a fair-trade environment. At the same time sending a percentage of profits back to groups that fight trafficking on the ground by empowering vulnerable young girls. Can you tell us about your experience witnessing the reality of human trafficking in Cambodia? Who were the first women you met and began working with? The first woman I met was named Nini. She had dropped out of school when she was a girl to begin working as a house cleaner. She was bright, smart and hard working. I admired her so deeply and we hit it off right away. Soknea had to leave school at age 8 to care for her brothers, now she is an artisan sending her kids to school. Which empowered women have stood out to you most since The Brave Collection started? 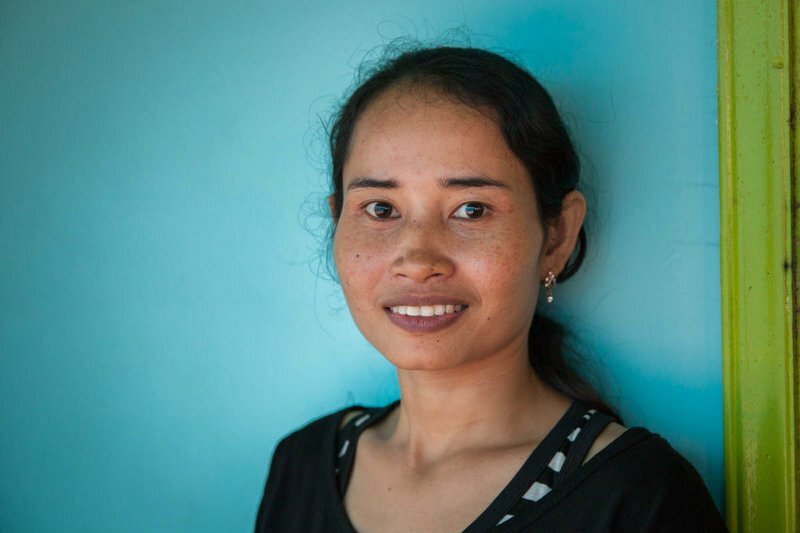 It’s been beautiful to watch stories of Bravery present themselves from Cambodia to New York. In Cambodia, watching one of our artisans Soknea take pride in working hard and being able to send her kids to a good school gives me chills when I think about how she had to leave school at age 8 to care for her younger brothers while their parents worked in the fields. Together we are breaking the cycle of poverty and setting the next generation up for more opportunity than the last. I am in awe of Soknea’s Bravery and perseverance. 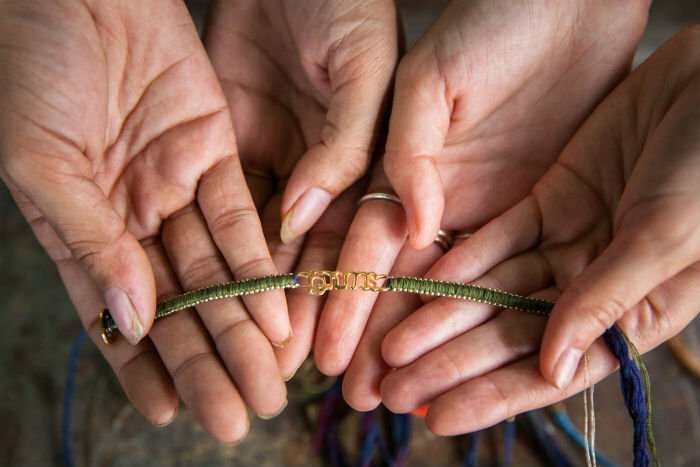 Here in the states, we see women everyday buying a Brave Bracelet to give to a woman in their life who is in need of courage, or whose Bravery they wish to celebrate. I love to see women building up other women, and making each other feel strong, valued and empowered. How does The Brave Collection work? What happens when a someone purchases a bracelet? 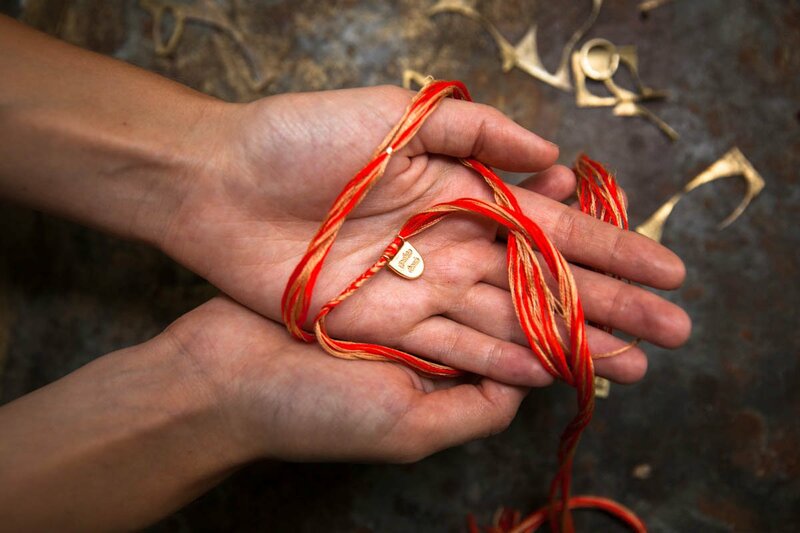 Each piece in our collection is made from start to finish by fair trade artisans in Cambodia who come from disadvantaged backgrounds or suffer from disabilities, so every time you buy a bracelet, you are providing a job opportunity to an artisan. 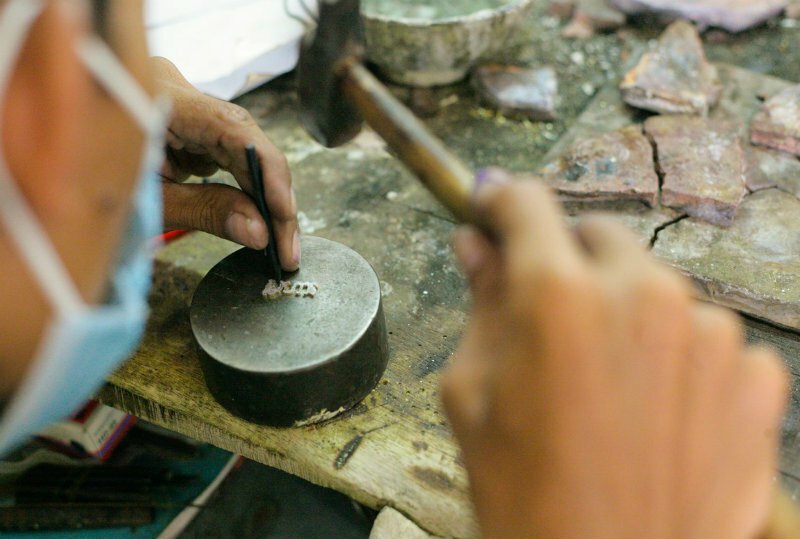 This is so significant in Cambodia because there are hundreds of sweatshops and factories where people work in slave-like conditions, and very few workshops where artists are given the opportunity to work in a dignified environment and produce culturally significant pieces by hand. Our artists also receive benefits such as health insurance and stipends for their children’s educations. Furthermore, we donate 10% of profits to empower girls against human trafficking. When you support Brave you are also supporting a small, female run, 100% female owned company in Brooklyn! 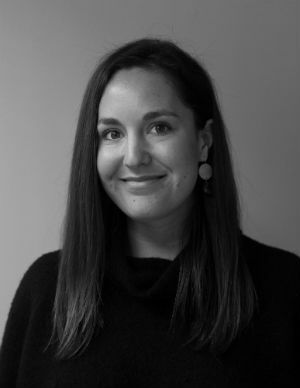 Being born in Paris, raised in New York, forever connected to Cambodia, with my heart in California, I definitely feel like a global citizen, informed by all of the different cities and teachers that have shaped my tastes, values and beliefs. Each time I receive a shipment of bracelets from Cambodia to our Brooklyn studio, I realize how interconnected we all are. 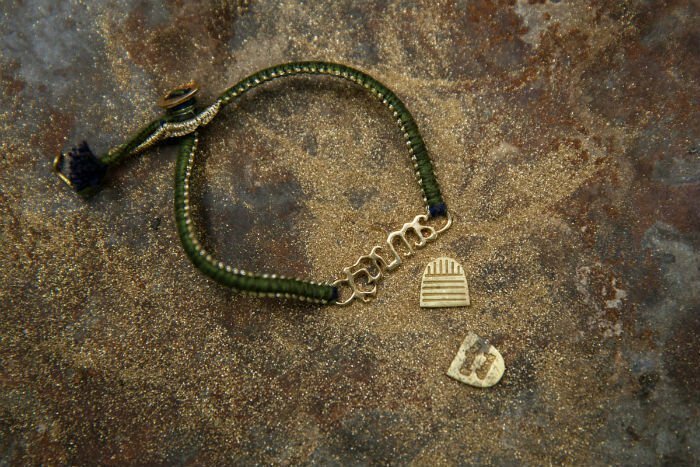 Global Citizen is proud to offer the handcrafted BRAVE Bracelet from The Brave Collection in four beautiful colors from Deep Moss to Berry--just in time for Valentine’s Day (or Galentine’s Day) if you order by February 7th! So take the time to share your appreciation for the strong women in your life, be it your best friend, mom, sister, or yourself and spread the love to Brave women across the world. And stay tuned to find out how you could win a pair of Brave Bracelets!